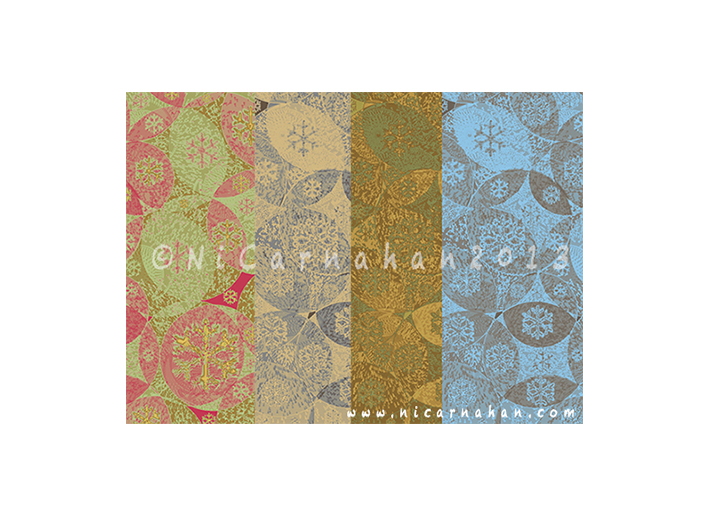 ← Introducing Ni Carnahan’s Button Illustrations ! 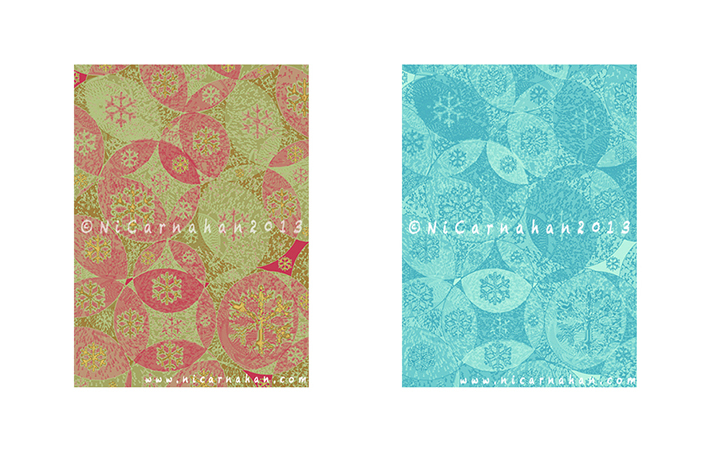 Ni’s Pattern Design 01: Digital Christmas Pattern Designs! 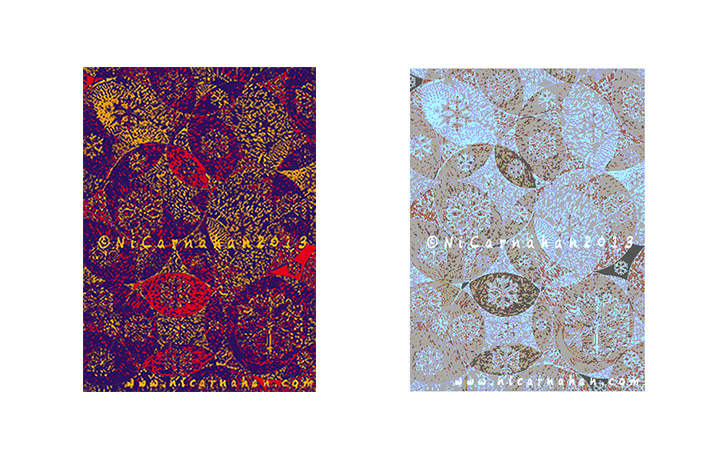 Playing around digital patterns today!! I love pattern as you all know, especially hand-drawn style. I have designed some by hand,but they are not ready to be shared just yet. So, I decided to share with you all my digital pattern designs.Photoshop is one of my learning tools that I have been exploring and I have been learning it by myself for a while. It is time-consuming,and I still have so much to learn. Even thought I still prefer to draw by hand,I enjoy exploring new techniques and different styles. I like the pink/green and the turquoise best. Very nice! Oh…April~ Thank you so much for your feedback!! Both of them are actually my favorites too, especially Turquoise! It has become my favorite color!! ^_________^ I am still learning how to use Photoshop,so I hope to play around more. Thank you again for your valuable feedback!